Rev. 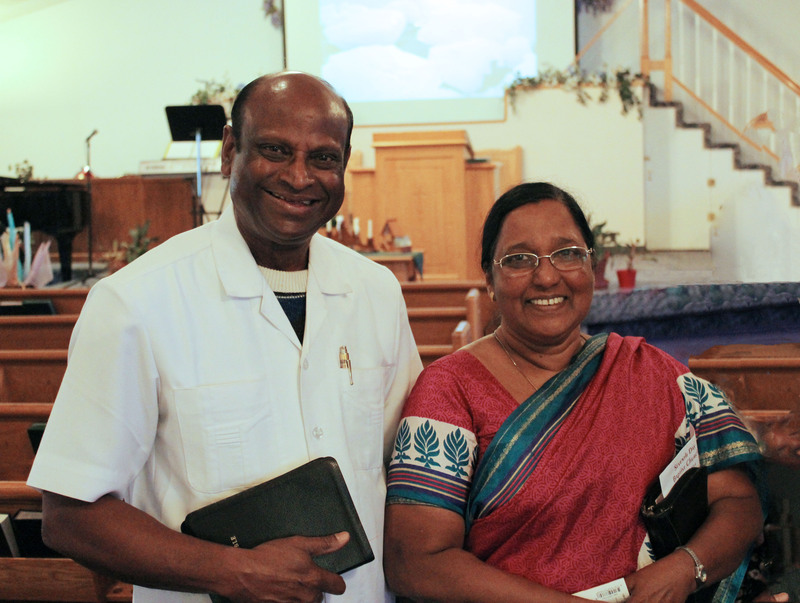 Dr. Perumal & Vasantha Paramanandam from India Calvary Ministries in Chennai, India visited our church on August 16, 2014. Their ministry works through churches, a Bible College for new pastors, street ministry, children’s programs, and outreach to lepers. Born into a Hindu family, Dr. P’s father was healed of throat cancer in 1966 when Christians came and prayed for him. Their family was baptized and Dr. P became a Christian as he learned more about the one true God through the Bible in the following years. In 1997, Dr. P received a vision to plant 1000 churches across India. He is visiting the United States to share God’s message as well as raise funds and awareness for India Calvary Ministries. Following Vasantha’s special music, Dr. Paramanandam shared a message about 7 Bible Animals who obeyed God and ministered as a result. These were Dove, Camel, Ravens, Great Fish, Small Fish, Rooster, and a Dumb Donkey. If God could use these animals…He can surely use us! You can listen to the recording of the worship service with the Paramanandams under the Sermon section of this website here August 16, 2014 worship service.